I’ve just gotten back from a short holiday in Fiji and, well, I wish I hadn’t. Auckland’s wet winter has got nothing on the glorious 30-degree days I spent swimming, snorkelling and generally relaxing in Fiji. Frankly, I don’t have the will right now to face going back to work tomorrow – let alone writing a full blog post about my trip right now. So I’m just going to jot down a few random observations about Fiji and my holiday there, and I’ll go more in-depth about some of the things I did there in a later blog post. 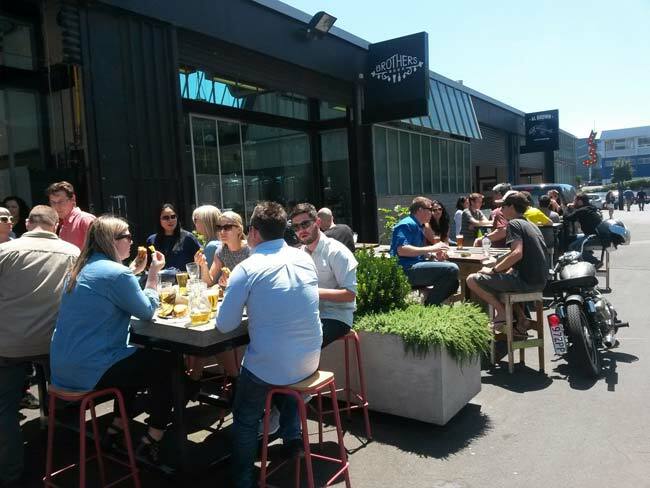 In Auckland, New Zealand, the average high right now is around 15-degrees Celsius. In Fiji, you can double that. Moreover, the climate is relatively calm there at this time of year. We had a few showers on only one of the four days we were there. Almost everything I read about Fiji before I went said that the little island nation was among the friendliest in the world. Well, I’m not going to dispute that observation. However, I will add that the only people who weren’t friendly were the exact people whose jobs it was to be friendly – waitresses, waiters, and anyone in hospitality. Sometimes it was oddly difficult to get a drink at a bar, because no-one would want to serve you; other times, it felt like they’d prefer it if we dined and dashed, rather than settling the bill. I’m not the first traveller to note that Fijians seem to work to a different timeframe to the rest of us, and I certainly won’t be the last. At first we found it kind of quirky that an 8 o’clock departure time for a boat trip, say, could mean anything from about 7:50 to 9:30. But then when Mrs Man vs World and I were in a hurry to the airport to catch our flight, suddenly Fiji’s so-called “island time” was hugely stressful and irritating. On day one, we literally sat around our resort and sunbathed, read our books, swam, ate, and drank Fiji Bitters and girly-looking cocktails. 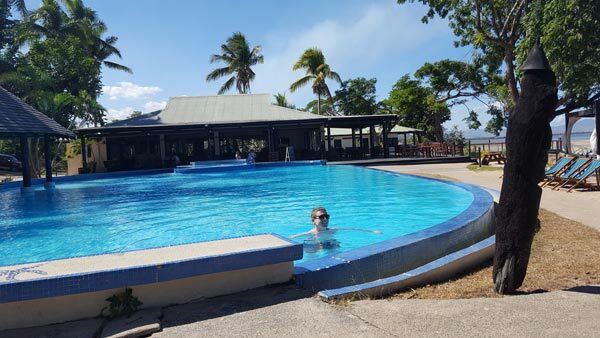 On day two, we went into Lautoka – Fiji’s second largest city – for a look around (our big activity for the day) and then we spent the afternoon chilling at the resort. We even had a massage. 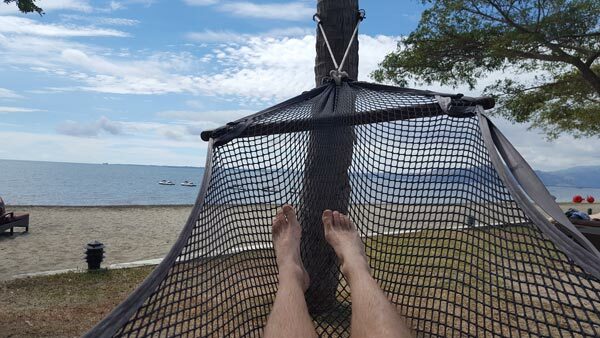 On day three, we may or may not have snuck into the Sofitel Fiji Resort and went for a swim in its pool, before drying out on a beach-side hammock. On day four, we visited Beachcomber Island Resort – a tiny island paradise that takes approximately seven minutes to walk around – where we snorkelled, swam, sunbathed, and enjoyed a beach barbecue buffet. Beer, food, cocktails… everything was about 30% or more cheaper than it was back home – often even more so. Even the sea in Fiji was warmer than a warm day is in Auckland at this time of year. We ate a lot of fish and chips, Asian fusion cuisine, and Indian curries. It was all good, without ever really blowing our minds. Head over to my beer blog to read why I think Fiji Bitter is better than Fiji Gold. A HUGE amount of time – mostly reading, also drinking, and sometimes just chilling. 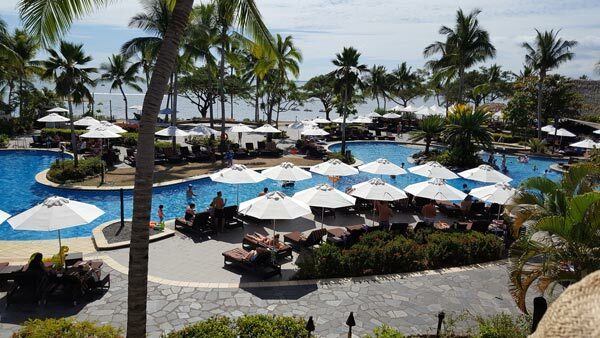 As a travel destination, there isn’t a massive amount of things to see and do in Fiji, which is part of its charm. You visit for a holiday, not an action-packed adventure. Besides 800,000+ Fijians, no-one was happier than me when Fiji thrashed Great Britain 43-7, claiming gold in the rugby sevens and the country’s first ever medal at the Olympic Games in Rio. Even a week out from the games, a blind person could see how much it would mean to this proud, rugby-loving country. Good for you, Fiji. You deserve it.